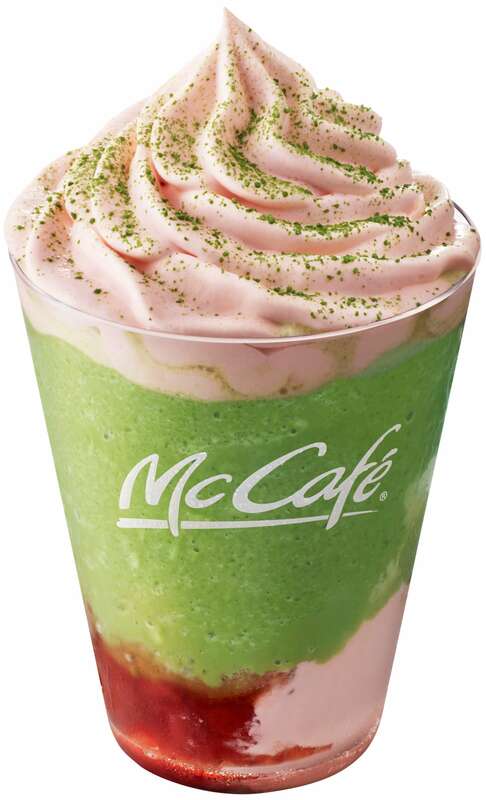 The new Strawberry Matcha Frappe will be released on October 10 at McCafé by Barista outlets, the official McDonald’s cafés attached to numerous McDonald’s branches in Japan. McDonald’s Japan has recently been selling a series of different matcha drinks for autumn. Following on from their Brown Sugar Syrup & Soybean Flour Matcha Frappe, a Japanese-style tasting drink, the new Strawberry Matcha Frappe uses strawberries for a more Western flavour. 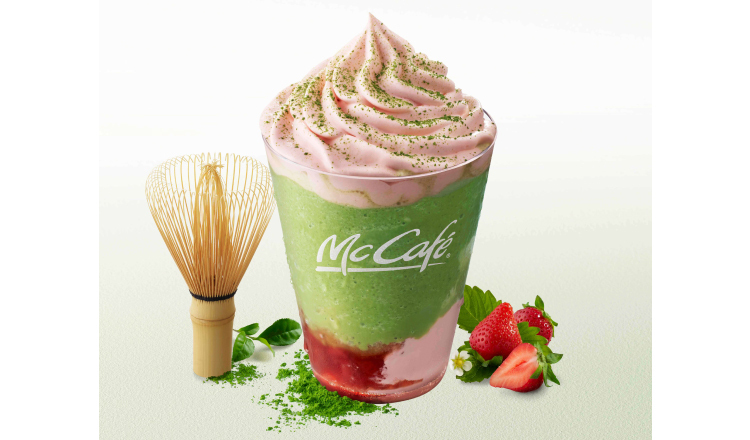 The Strawberry Matcha Frappe is a brand new drink to McDonald’s, mixing together the full-bodied flavour of matcha together with sweet and sour strawberries. It includes both a strawberry paste made from whole strawberries and a strawberry whipped cream at the bottom. Sitting on top of these is a matcha latte frappe which uses slightly bitter Uji matcha from Kyoto and delicious milk farmed in Japan. Crowning the drink is more strawberry whipped cream and sprinkling of matcha powder. The refreshing taste of the strawberry sauce coupled with the whipped cream serves to elevate the great flavour of the matcha even more. The beverage will be available from October 10. Until then you can enjoy McDonald’s Matcha Latte Frappe, Matcha Latte or Iced Matcha Latte. *The branch list can be viewed on the official McDonald’s Japan homepage (Japanese).